istorted renderings of movement history took on heightened danger as a new movement gained national attention. Galvanizing around the issues of police brutality, criminal injustice, and mass incarceration, Black Lives Matter came to national prominence after the killing of Trayvon Martin and subsequent acquittal of George Zimmerman in 2013, and the police killing of Michael Brown in Ferguson, Missouri, in 2014. The vision of Black Lives Matter was articulated by three Black queer women: Alicia Garza, Patrisse Cullors, and Opal Tometi; its various local incarnations have encompassed a broad palette of issues affecting Black lives, from enduring school inequality to living-wage struggles, and from police accountability to gender justice. Taking to the streets, blocking traffic, disrupting political events and commerce, and launching die-ins on college campuses, this new leader-full movement, organized predominantly by young Black people but joined by a rainbow of others and Black people of all ages, has forced the nation to grapple with issues of racial injustice in law enforcement and the legal system. Casting the young protesters as reckless and not living up to the legacy of the civil rights movement, a number of prominent voices have measured Black Lives Matter against the movement and found it falling short. Many who claim sympathy with BLM’s purpose have used the civil rights movement to decry their tactics—putting aside the fact that King took a highway many times over his life, that the movement was disruptive and unpopular, and that it made many Americans uncomfortable. 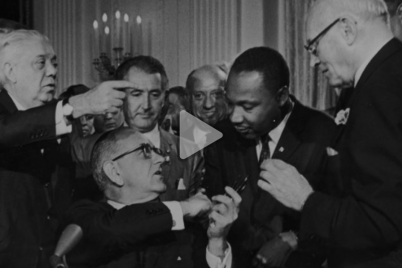 The civil rights movement has become museum history, inaccessible for our grubby use today. 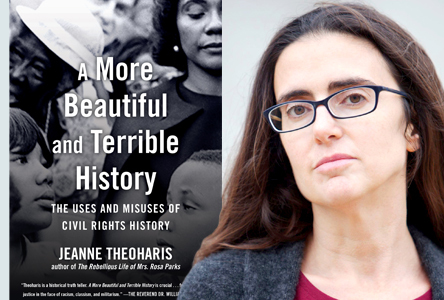 While the actual civil rights movement was far more disruptive, demanding, contentious, and profound than it’s depicted, the mythologies of it get in the way of seeing the continuities between these struggles, the shoulders current movements stand on, and the ways people can learn from past struggles to approach the problems we face as a nation today. Many saw the invocation of the civil rights movement against BLM as a way for critics to stand on the sidelines. “The burden of the brutalized is not to comfort the bystander,” actor-activist Jesse Williams made clear at the 2016 BET awards, in a speech that went viral. “If you have a critique for the resistance, for our resistance, then you better have an established record of critique of our oppression.” “What I’ve learned from the [BLM] activists and what is going on today is, those of us who have lived almost a century, have no right to cynicism,” Harry Belafonte joined in. “Mostly, the people who turn away from radical thought are people who don’t like to be uncomfortable.” Recognizing the need to steep themselves in fuller histories of Black struggle, popular education and study groups have become an important but much less covered aspect of the many Black Lives Matter groups and mobilizations. And many BLM activists have partnered with a set of elders willing to build on those lineages. But that has not caused commentators to stop using the civil rights movement to chastise the work of BLM activists. Key similarities exist between the civil rights movement and BLM— from the forces they are up against to the criticisms they encounter to the expansive vision of justice they seek. Like the young activists propelling BLM, civil rights activists were regarded as dangerous and reckless by many and as downright seditious by others. The movement was pushed forward by young people, who made many people nervous sixty years ago, just as they do today. Thus, substantively considering new movements for racial justice in the context of the civil rights movement means seeing the ways they are tied to, rather than set apart from, this longer movement history. More significantly, these mis-histories of the civil rights movement impoverish people fighting for social justice today by separating them from the perspectives and experiences of a long line of courageous freedom fighters. Sixty years ago, Rosa Parks drew solace and sustenance from the long history of Black resistance before her time, placing her action and the Montgomery bus boycott in the continuum of Black protest. Her speech notes during the boycott read: “Reading histories of others—Crispus Attucks through all wars—Richard Allen—Dr. Adam Clayton Powell Sr. and Jr. Women Phillis Wheatley—Sojourner Truth—Harriet Tubman, Mary McLeod Bethune.” For Parks, the ability to keep going, to know that the struggle for justice was possible amidst all the setbacks they encountered, was partly possible through reading and referencing the long Black struggle before her. By denying a new generation their place in that lineage, a key form of sustenance is taken away. And perhaps most consequentially, the mythologizing of the civil rights movement deprives Americans of honest history that shows us where we are today in this country. The task, as James Baldwin put it, is “to describe us to ourselves as we are now”—to honestly reckon with the way the country feared the civil rights movement and its disruptiveness; to fully grasp the movement’s scope and tenacity; to understand the diversity of freedom fighters and what they did and imagined; to grapple with the robust resistance to change, not just in the redneck South but in the liberal North; and to examine what learning from that struggle shows us about the country today.